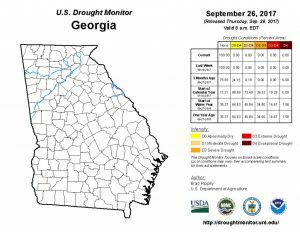 The Drought Monitor is available for 26 September 2017. 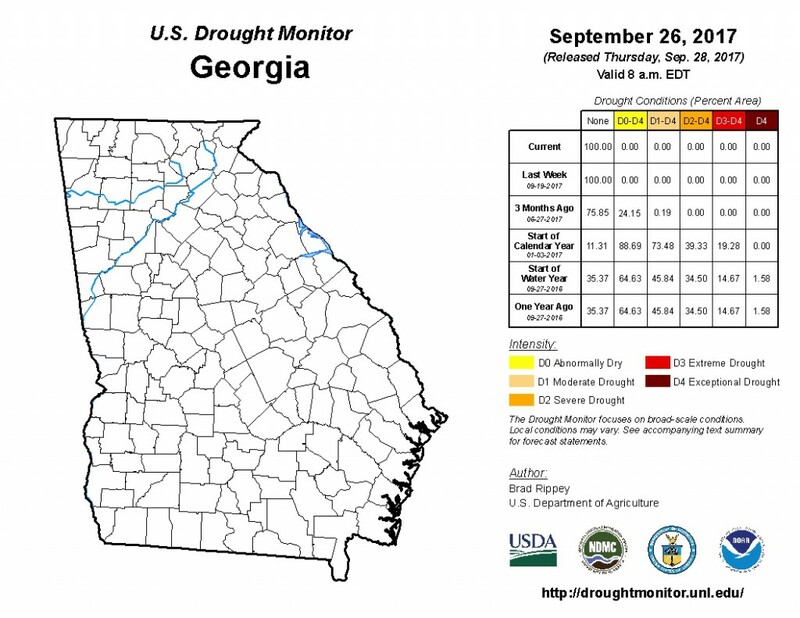 After Tropical Storm IRMA, the Georgia, south Carolina, Florida and Alabama are all considered to be under no Drought. 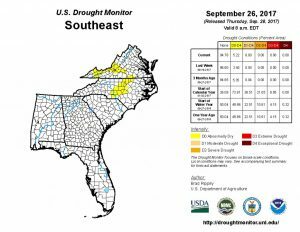 For the contiguous 48 states, the U.S. Drought Monitor showed 13.81 percent of the area in moderate drought or worse, compared with 15.51 percent a week earlier. Drought now affects 28,002,510 people, compared with 26,320,080 a week earlier. 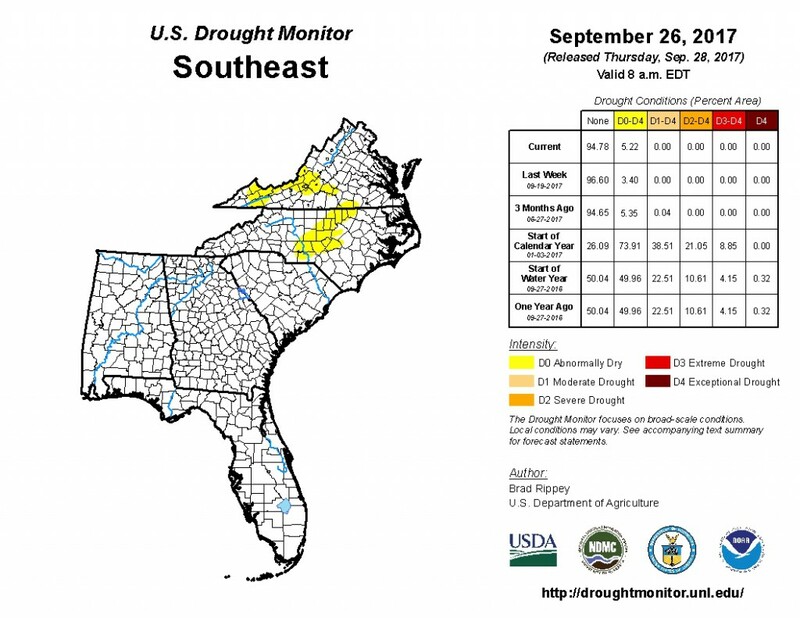 For all 50 U.S. states and Puerto Rico, the U.S. Drought Monitor showed 11.65 percent of the area in moderate drought or worse, compared with 13.07 percent a week earlier. Drought now affects 28,373,444 people, compared with 26,683,014 a week earlier. Posted in Drought, Uncategorized. Bookmark the permalink. Previous: Being a Sewer Hero………..What should you Flush and what should you not Flush.